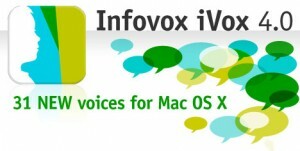 AssistiveWare® and Acapela Group announced today the release of Infovox iVox™ 4.0, which brings to Mac OS X a total of 31 new Text to Speech voices. These include the first ever genuine, natural-sounding bilingual American Spanish-English children’s voices, a male bilingual American Spanish-English voice, 16 expressive voices to speak with more emotion, a new Polish voice and our first Japanese, Korean and Chinese voices. Infovox iVox now provides a total of 107 system-wide clear and pleasant voices in 30 languages to Mac OS X for individuals who need audible feedback or reading support, for those who are interested in storytelling, for blind and vision impaired users, for language learning and for those who just like to listen to their computer. Other languages: Jeroen (Belgium NL happy & sad), Peter (British English happy & sad), Dimitris (Greek happy & sad), Sakura (Japanese), Minji (Korean), Lulu (Chinese) and Monika (Polish). With Infovox iVox 4.0 we have also simplified the purchase model. Voices can be purchased à la carte and cost only 15 euro per voice per computer. A 30-day full-function trial of each voice can be downloaded from within the Infovox Voice Manager, enabling a thorough evaluation before purchase. 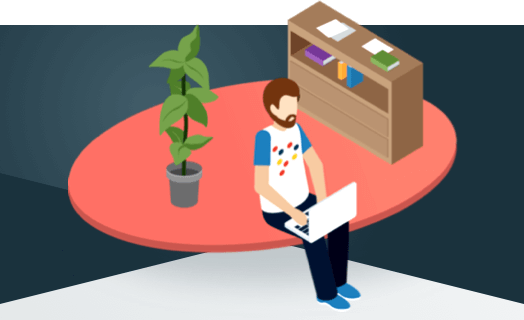 Infovox iVox 4.0 is a free update for existing customers. For additional Infovox iVox information and to download a full-functional demo, please see the AssistiveWare Infovox iVox page. AssistiveWare®, a leading innovator of assistive technology software for iOS and Mac OS X with over 125,000 customers worldwide, is committed to collaborating with the global community to make a difference in peoples lives. The company’s flagship product, Proloquo2Go®, is an award-winning Augmentative and Alternative Communication (AAC) application for iPad, iPhone and iPod touch that provides a “voice” for people who have difficulty speaking or cannot speak at all. Founded in 2000, AssistiveWare was the first company to deliver universal access to Mac OS X with its award-winning KeyStrokes™ on-screen keyboard and the first to create genuine children’s Text to Speech voices. Focused on its vision to empower people through innovative technology, AssistiveWare offers a wide-range of assistive technology products and services. Acapela Group invents speech solutions that bring content to life through giving it a voice in up to 30 languages. More than 60 resounding synthetic, yet natural sounding voices as well as new, authentic American and British children’s voices are ready to vocalize written content into a pleasant audio result. Acapela Group’s repertoire includes producing a wide-ranging library of voices including voices that have: accents or specific dialect attributes, singing or storytelling ability, different moods and emphasis, voices for all ages and all languages and recognizable characters or celebrities. Each audio selection is authentic sounding, unique and original, presenting a distinct personality that perfectly matches different contexts. More than just simple vocalization of texts, Acapela Group aims to add a subtle layer of intelligence and significantly enrich audio dimension by offering more meaning and intent to each voice.